Yash Raj FilmsThugs of Hindostan promises to be a larger than life, never seen before visual and cinematic experience. Having pulled off an incredible casting coup by bringing together two of the biggest legends of Indian cinema Amitabh Bachchan and Aamir Khan on screen for the first time, this is the most awaited film to release this year on Diwali. 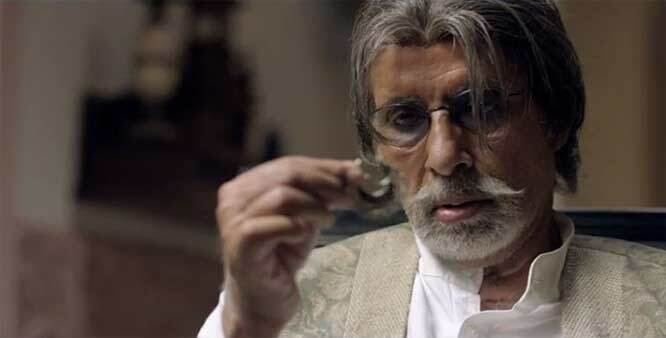 In keeping with its marketing strategy to unveil one character a day of this mega-action adventure, YRF today unveiled the first motion poster featuring the legend Amitabh Bachchan. The iconic actor plays Khudabaksh – a battle-hardened warrior. Khudabaksh is seen as a commander of this massive ship as he gets ready for a huge war in the motion poster. Thugs of Hindostan is the first Hindi film that uses the sea as the backdrop of its story with jaw-dropping action sequences and Khudabaksh seems to be the master of the seas ready to charge. YRF’s Thugs of Hindostan also stars Katrina Kaif and Fatima Sana Shaikh and is set to release on November 8, in time for the Diwali festivity.